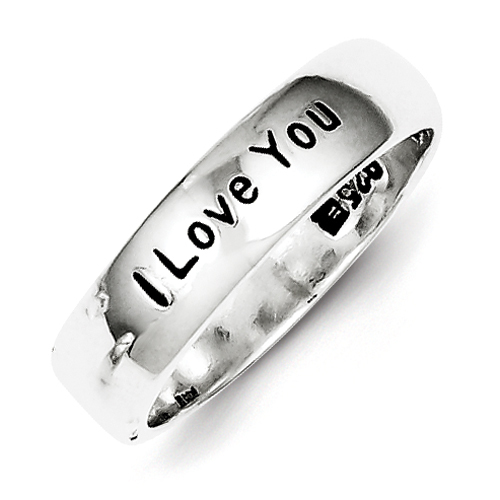 I Love You ring is made of polished sterling silver. Size 6. Standard fit. Weight: 3.75 grams.